Add the finishing touch to your project with a faux-leather Project Label from Boye. 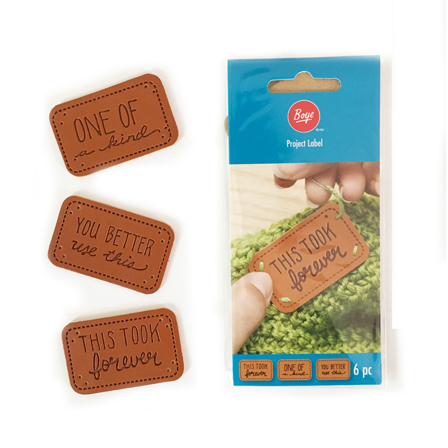 This set of 6 tags features 3 sayings: You Better Wear This, This Took Forever, and One Of A Kind. Tags are sized 2" x 1.25"